Battling the signs of aging is not something that is exclusive to any one person. Clearly, we all will have to tackle frown lines and wrinkles at some point. And this goes for both men and women. It is not uncommon to see guys shopping for skin creams, lotions, moisturizers and other products that can help their skin remain smooth and youthful. But, as we all know, these store-bought products don’t always produce the results we desire. So yes, both men and women have been known to take advantage of Botox injections to help rid themselves of frown lines and wrinkles. 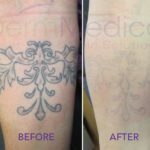 Botox has actually become such a popular solution to the signs of aging, that it is used in more places than just the facial area. A New Orleans news report that can be found on YouTube, reveals that Botox has many more uses on other places of the body. “Botox is not just for frown lines anymore,” explains the reporter, “It’s now being used on the body, the entire face and the neck.” It actually has been used to firm up the skin in the neck to present the look of a neck lift. Sagging under the chin and smile lines can also be addressed by Botox injections. 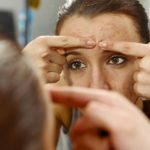 “If you Botox the whole face in very small amounts in places that are important,” says Dr. Kelly Burkenstock, “you’re actually anti-aging and avoiding muscles overcompensating.” When the muscles are relaxed, thanks to the treatment, it helps for the skin to smoothen out for a natural, younger look. The signs of aging are plenty. Some people are concerned that they appear to be always frowning. The lines between the eyebrows can sometimes give off the impression that you’re having a much worse day than you actually are. In addition, the ‘dimpling’ look of our chins gives off more an aged appearance. These are a few things that Botox can correct. Botox, by the way, isn’t only used as an age-defying solution. With its ability to add volume to one’s face, injections have also been utilized by younger people. As shown in the news report, Botox injections can be utilized as ideal alternatives to fillers for those who wish to have fuller and plumper lips. This is done by injecting some of the medication in the cupid’s bow. And that’s not all! Botox can also be used under the arms and on the hands to prevent excess sweating. Also known as hyperhidrosis, this condition affects more people than you may think. It causes excessive sweating that can be both unpredictable and uncontrollable. When injected into overactive sweat glands, Botox can help reduce sweat production. Also noted by the news report is that Botox helps for individuals to avoid going under the knife. Thankfully, there is an alternative to invasive plastic surgery that is much safer. Not to mention, by comparison, Botox is certainly a lot more cost-conscious. Botox injections help to relax muscles so that patients can relax about their signs of aging. Get more information about Botox by calling DermMedica toll free at 1-866-861-3070, or if you are in Kelowna, call 250-868-3070.